Can Diabetes Cause Dizziness?-10 Best Ways to Prevent Dizziness! 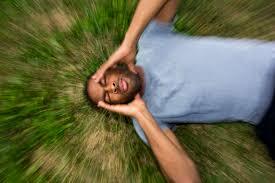 Dizziness is something that is fairly common and maybe not often serious. But can diabetes cause dizziness? In a nutshell it can. It’s important to discover if indeed it’s the diabetes that is the cause. But of course there are times when it might be very serious and the key is to knowing how to treat and prevent it. Anything that is diabetes related is serious and that is something to address right away. One of the most important things when it comes to dizziness is to be aware that at any time a dizzy episode strikes that it can be related to diabetes. It’s not a pleasant feeling at all and can be very scary to experience. It can stop you in your tracks immediately and prevent you from doing any daily tasks that you are used to doing comfortably. Dizziness alone is frightening but not knowing what is causing it makes it even worse. Being dizzy is actually an episode of being unbalanced and an unsteadiness that affects your ears or brain. While it can be a variety of causes and I think it’s important to let you know what those causes are, the first and foremost are possible causes of dizziness coming from diabetes are my priority here. * Dehydration- Hyperglycemia which is high levels of blood sugar that can cause the passing of an abnormal amount of urine that is undiluted out of your body in an attempt to remove the excess glucose. Now if you have a low level of water in your body (dehydration) then your brain may have a difficult time in trying to function properly and this can cause dizziness or light headedness. * Low blood pressure- If your heart is unable to pump blood up to your brain sufficiently, then this is low blood pressure that can cause dizziness. This is especially the case when trying to get up suddenly from a laying down or sitting position. The result is either a “spinning” sensation, being unsteady, or even fainting spell from your blood not being able to reach your brain momentarily. * Low blood sugar- This can be very serious. Hypoglycemia can cause dizziness by causing your brain cells to temporarily malfunction. It’s always vital to check your blood sugar because you don’t want it too high but especially don’t want it too low either because that can be life threatening. * Possible medications- There are certain medications prescribed for diabetes that can cause dizziness. Usually the side effects will be listed on the medication instruction paper that comes with it. But you also want to be sure that anything else such as supplements that you may be taking to clash with your diabetes or any other medication that might possibly give you dizziness. 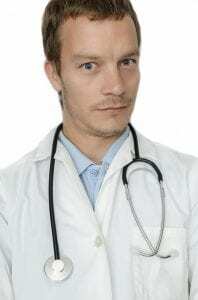 * Your doctor- One or so dizzy spells probably doesn’t need a call to your doctor. But suffering consistent bouts of dizziness require seeing your doctor. Make sure you have a record of when the dizzy spells occur and what the actual feelings and patterns may have been. I want to mention about hypoglycemia because it’s very important. The best thing that you can do is to check your blood sugars regularly. You want your blood sugars no lower than 70 mg/dL. Now while a high glucose reading is not good, a low reading can have very serious and life threatening effects. Dizziness can be one of the effects that may not be as serious but nonetheless, it’s still a concern. I would also like to tell you more about hyperglycemia too. High blood sugar is just so unhealthy and again your blood glucose levels must be controlled. You want your blood sugars to be no higher than 180 mg/dL. Diabetic autonomic neuropathy happens to be a common diabetes complication that unfortunately can affect any systems or organs in your body. Dizziness is just one of many of the symptoms that are related to this condition. But this can also affect your stomach leading to bloating and vomiting. It basically affects the autonomic nerves which are the nerves that control your bladder and other organs and your genital areas. It can affect your bladder and also cause erectile dysfunction as well. Other organs that can be affected by diabetic autonomic neuropathy can be your eyes and your heart. You certainly do not want this to happen. Another reason that this condition is especially serious is because it can affect the way that your body is responding to low blood glucose. So if this is the case and you are not getting the early warning signs of low blood sugar, then this can be dangerous. If you are not already seeing your doctor with regards to diabetes and/or dizziness then now may be the time to do so. Diabetes dizziness is absolutely nothing to ignore. You want to get everything in order with diabetes and keep it that way. It’s the physician’s call with regards to your diabetes plan with diet and exercise and medications. He or she may just guide you to a lifestyle change and make changes to your medications but you want to be sure that any dizziness is addressed and hopefully not happening as a result of your diabetes. You want to rule out any alcohol or a warm or hot room to your dizziness. * Proper diet- You should be following a high fiber diet and dies that is well balanced so that you get all the proper vitamins and nutrients that your body requires. Unhealthy eating and excess eating can really do a number on your blood sugar levels. Taking the right medications and following your doctor’s orders are a step in the right direction too. It’s just common sense and good practice to avoid salt, carbohydrates, and sugar. * Blood sugar levels- Checking your blood sugar levels is vital. This is also to avoid nausea and dizziness. You want to prevent rather than have to treat and cure. One of the best ways to do this is with exercise. This will help to control your blood sugar levels and at the same time it will help prevent dizziness too. * Stay hydrated- Know the signs of dehydration. For me one way I know that I’m dehydrated is that I get cramps in my legs. Ouch! Six to eight glasses of water a day is what you should require. Make sure that you don’t become dehydrated for many other reasons as well. * Blood test- You may need to have a blood test to determine if you have an iron deficiency and anemia. This can be a factor in dizziness and possible falls. The best foods that contain iron for you are kidney beans, liver, dark green leafy vegetables, and lentils. 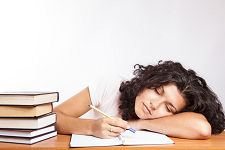 * Sawing the wood- There are many different things that can cause sleep issues. If you’re taking too much medication, have pain, restless leg syndrome, anxiety, excess caffeine, or sleep apnea, then these can lead to lack of sleep or dizziness. Sleep is obviously important and without the proper amount, your health suffers big time. So wind down at night, go to sleep at the same time each night, make sure your bedroom is dark and quiet and relax your mind. This can help you so that you are not sleep deprived and possibly dizzy. * Eat something fast- This is for when your blood sugar is low and you’re experiencing dizziness. Once you begin to feel dizzy it’s time to eat something quick to help the situation. Being hunger can increase your chances of feeling dizzy so don’t go for long time periods without eating especially if you are already prone to dizziness. A snack high in carbs or sugar such as a banana or chocolate bar can remedy the situation quickly. Also any fruits that have high water content will suffice. 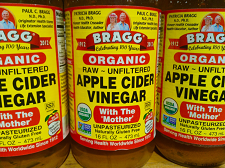 * Apple cider vinegar- There have been many studies done that show how beneficial apple cider vinegar is for you. This helps with helping to avoid the ups and downs that lead to dizziness. You only have to mix a tablespoon with water. Apple cider vinegar can do wonders for you. It really helps to lower your blood sugar as well. * Gingo biloba- Gingo biloba can be responsible for keeping your mind razor sharp. Traditional Chinese medicine uses it to treat dizziness because they believe that it increases blood flow and circulation to your brain. * Massage- I love massages and they are so good for your body. Having your body’s pressure points massaged can be very helpful for dizziness. So because having feelings of anxiety can set off dizzy spells, any relaxing treatments can promote a feeling of calmness with regards to any dizziness. * Vitamin C- Foods rich in vitamin C are great for dizziness. Research was performed that revealed that people suffering from dizziness and vertigo had much fewer symptoms when they were following a diet high in vitamin C.
Dizziness can be frightening but knowing what causes it is half the battle. You want to especially keep an eye on your sugar and keep those numbers under control. If you have any questions or comments, please leave them below. I would appreciate it and also please pass this on to others who need help too! Thank you for reading and have a happy and a healthy! Why Have Fenugreek for Diabetes Type 2?-Proof that Fenugreek Really Works! As someone that has suffered from dizziness in the past, this is an incredible way to help me get over the spells with simple dieting. I am very aware of what I need to do to watch my blood sugars, and I appreciate you making this website. You will help a lot of people out with this one :). Dizziness can be very scary at times. I know that once in a while when it happens to me that it can really bother me. That’s why keeping blood sugars under control is so important as you stated. With diabetes you have to watch everything and dizziness can come out of nowhere. It’s especially scary when you don’t know why you’re dizzy but if you have diabetes that could definitely be the reason. Thanks for sharing this with your friend. It’s always great to help others! I have been suffering from dizziness lately even while i am sitting down which is quite worrying. I am glad i have come across your informative post as it gives me and other people a guide on this problem. I have been told there are two different types of diabetes are they both dangerous?if so what is the outcome of this disease? 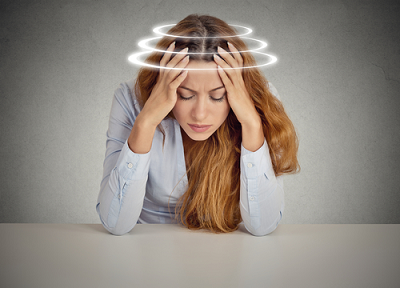 There can be many different reasons for dizziness. The best solution is to have it checked by your doctor. Both type 1 and type 2 diabetes are dangerous but can be controlled. Dizziness can be brought on by diabetes so it’s important to check your blood sugar levels frequently. Thanks for this comprehensive list of dizziness causes. It is nice to know there are some things I can do to determine what it is that is causing my occasional dizziness. Other than making sure you are hydrated and possibly eating some food, are there other things I can do? Is it better to lay down flat when a dizziness spell comes on? I think so, since fainting while standing could be very dangerous. Also, do you have any recommendations, or a routine for getting better sleep? Thanks again so much for this helpful info! Dizziness can be caused by a variety of things and it’s important to consider that diabetes can be a cause. Staying hydrated and checking your blood sugars regularly are the best things you can do. Regular checkups with your doctor are important as well. I would agree that laying down is the best position when you feel dizzy.